A Singaporean-linked company is building a major new commercial building in Pyongyang, which will incorporate a large department store and office space, sources in North Korea have told NK News. 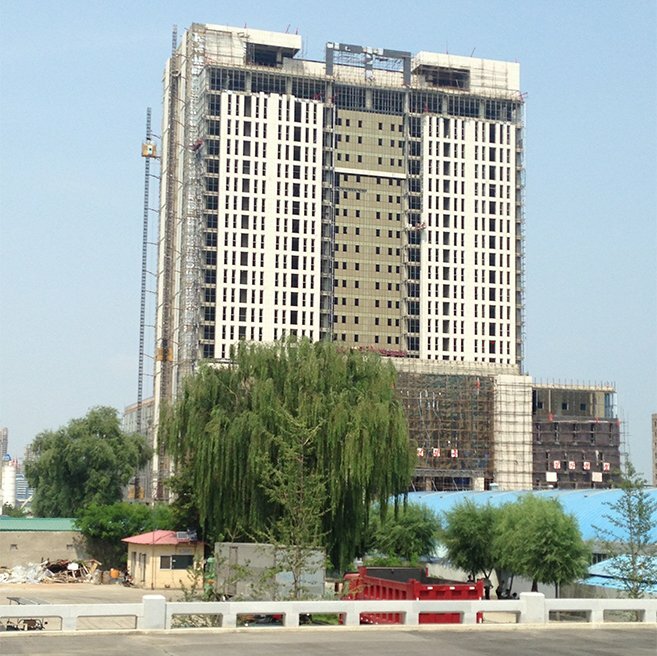 The building, which recent photos show to be at least 24 floors high, is located near Tongil street – in the south of Pyongyang – and currently appears to be in the latter stages of construction. “The Southeast Asian development department store on Reunification Street is getting built pretty damn quickly,” a source familiar with the construction, who requested anonymity, told NK News. “Sparks are falling off the building at night time constantly. 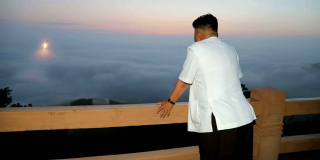 Another long-term resident of Pyongyang confirmed a Singaporean connection to the building, but was unable to specify the name of the company investing in its construction. In addition to the large department store, the building will likely contain office spaces, the second source speculated, noting it would be too large to house a department store exclusively. An outside observer said the involvement of a foreign interest in such a large commercial project might ruffle feathers among certain conglomerates in South Korea. It is widely suspected that South Korean conglomerates are interested in accessing and investing in the North Korean market, as soon as conditions in either Korea change to make that possible. In the meantime, though, it appears foreign interests are looking to take advantage of increasing wealth among the emerging middle classes of Pyongyang. 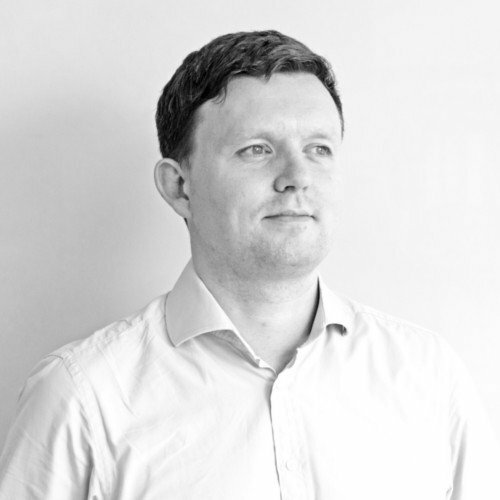 “What it appears to confirm is that there are firms out there that have presumably done their homework and emerged from the process with confidence in the long-term viability of the North Korean state and – at least in Pyongyang – its economy,” Green said. 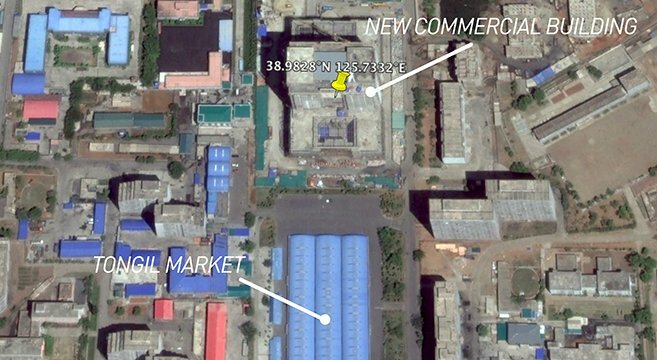 Despite claims by one source that the new building was being constructed rapidly, NK News intelligence director John Grisafi said publicly available Google Earth satellite imagery showed it being elevated slower than other recent buildings in Pyongyang, some of which were raised in six months or under. 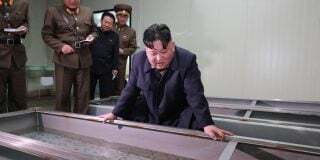 But notably, the location of the building matches that of a major 2012 infrastructure project outlined for the area by KKG Group, joint venture involved in North Korea’s taxi fleet, which a June Financial Times investigation reported has connections to Singapore. However, the KKG proposal for the area does not match the floor plan of the new construction – and other buildings in KKG’s 2012 plan are yet to appear under construction in satellite imagery, making it unclear if the new building is linked. 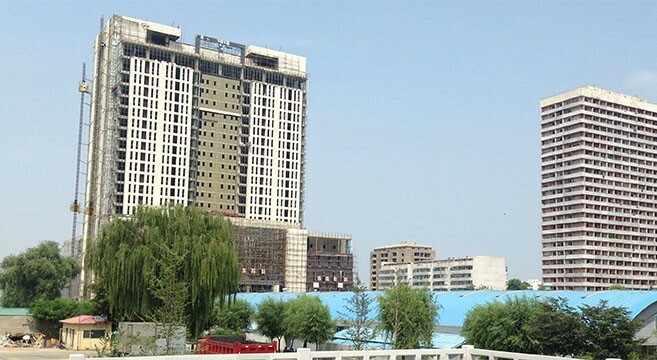 News of the commercial construction comes just weeks after a Chinese-state affiliated and Singaporean investment group – the latter of which is allegedly connected to the DPRK – announced a major investment plan in North Korea’s infrastructure, mining, telecommunications and tourism sectors. 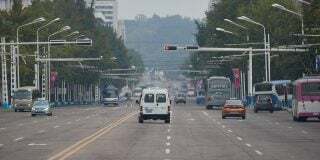 Pyongyang already contains a handful of department stores and supermarkets, some of which operated in conjunction with Chinese companies, which sell both locally made and imported products and appliances from Northeast Asia. Among the best known include Number One, Rakwon (Paradise), Taesongsan and Yokjon department stores, and the recently built Kwangbok supermarket, which Kim Jong Il famously visited prior to his death in late 2011. Subscribe to read the remaining 673 words of this article.